PET TREATS CANISTER home decor, jewelry, decor, decorations, electronics, fountains, floor mats, art glass, vases, garden essentials, fireplace screens. Playfully designed with you and your pet in mind. "Did you say treats?" is printed on the front as if your pet is reading your mind as you reach for the treat jar! 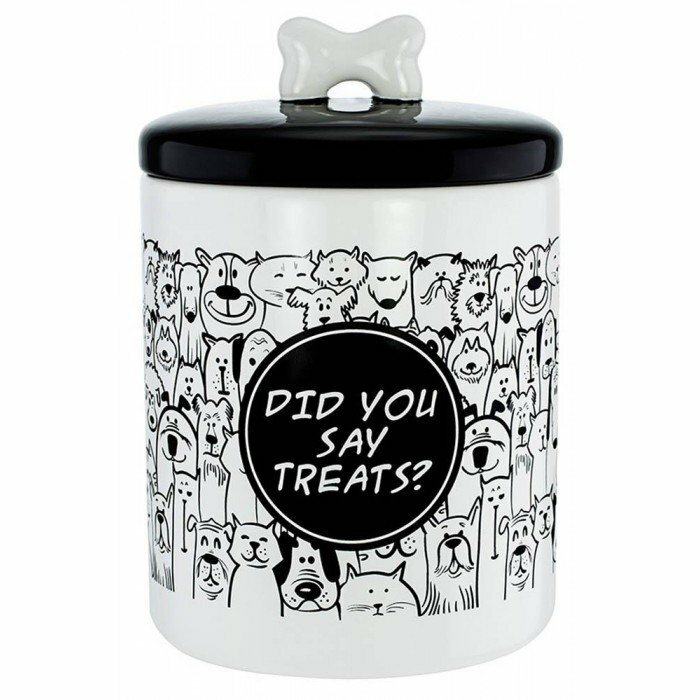 Adorable black and white cartoon print of cats and dogs are scattered around this ceramic treat jar. The airtight lid keeps your pet's treats fresh. Material(s): CERAMIC. Weight 4 pounds. Dimensions 6" x 6" x 9".